SNAFU! : USMC General talks about a NEW GENERATION of ship to shore connectors! USMC General talks about a NEW GENERATION of ship to shore connectors! Military Discount Active duty Military members could save more with GEICO. Get a quote today! What I find to be most juicy is that MAYBE the USMC is shaking the tyranny of air transport. By that I mean designing a force that is air centric inevitably leads it toward being biased toward the light end of the spectrum which makes them vulnerable to enemy mechanized formations. In short vertical lift or aviation connectors are pretty much covered. 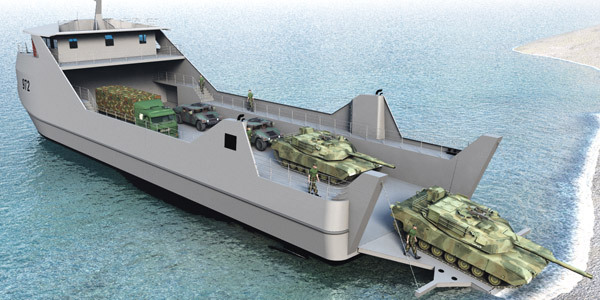 The issue is that no matter how fabulous our vertical lift is, we're gonna need surface lift to get the mass of supplies, arms, vehicles etc ashore. 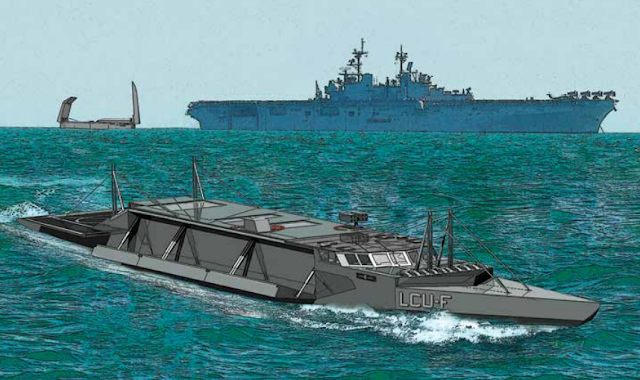 That means we're gonna have to move beyond the LCAC and LCU. A couple of promising (in my opinion) designs are shown at the top of the page. That's a real good start. How about we actually do a bit of experimentation and toss a few bucks their way and get full scale vehicles built so we can determine where we should go in the future?